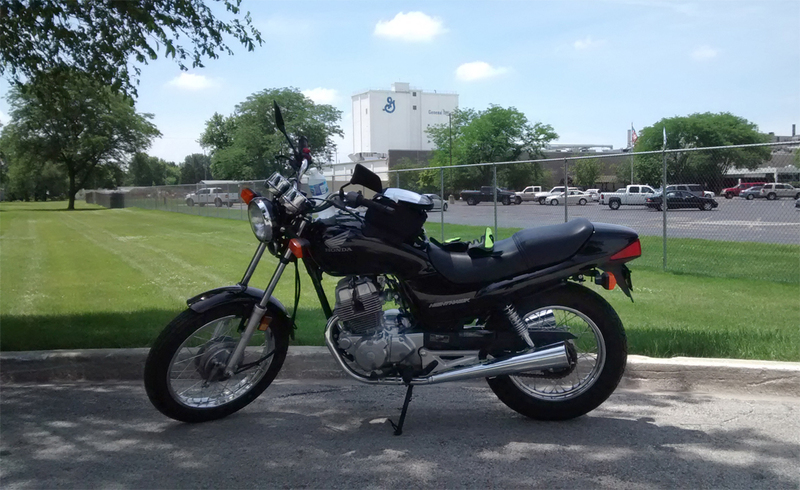 On my my first wayside jaunt, I cruised by a large, multi-building compound. It smelled like pancakes. I rounded the corner and quickly figured out why. It was General Mills! I wasn’t able to get any closer because the drives leading to the factory were gated and guarded. I guess they take those trade secrets pretty seriously! 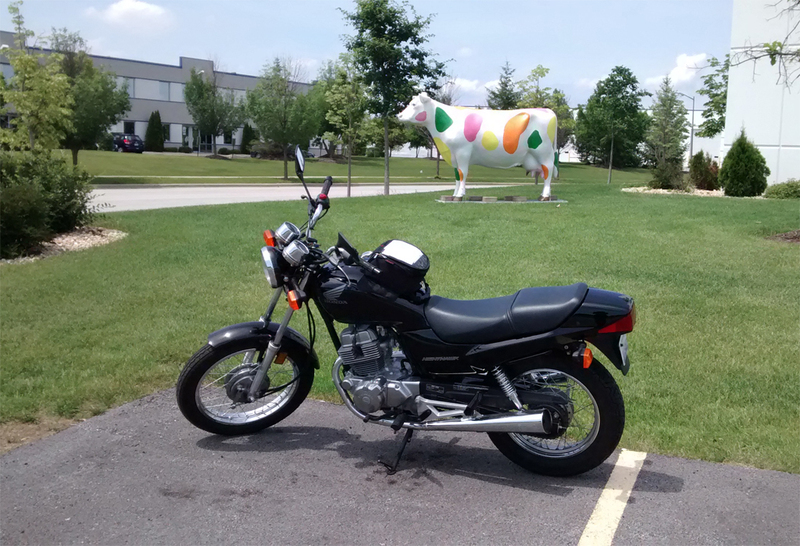 As I’ve mentioned in previous blog posts, office parks have some of the prettiest landscaping, smoothest pavement, and neatest pathways for riding. I can’t recall the name of this business at the moment, but it had a beautiful, tree-lined pond out front with two water fountains. 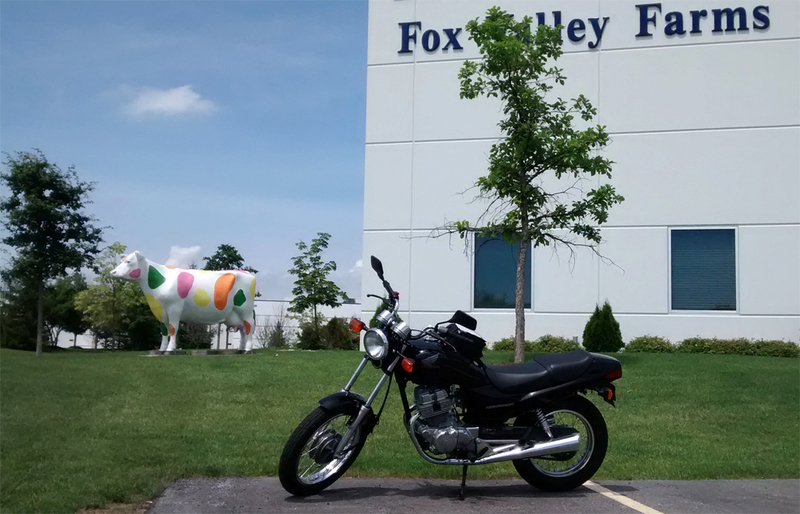 Sometimes, they even have hidden gems tucked away like this pastel-colored cow statue in front of a Fox Valley Farms office. What can I say? It was very mooooooving. 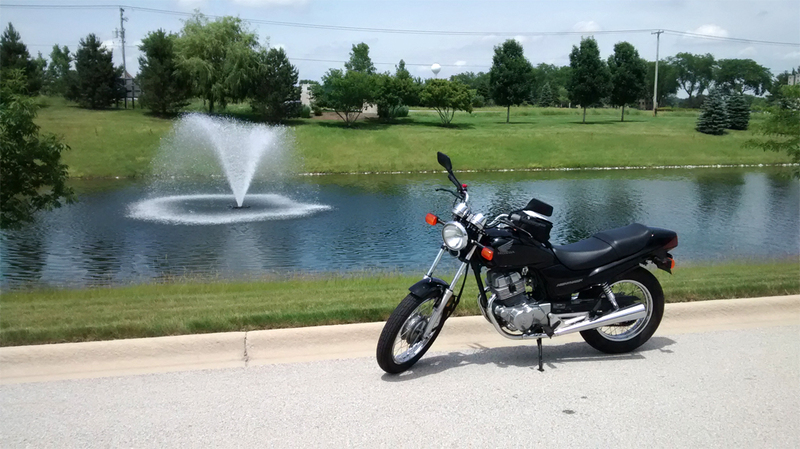 Bikes don’t leak oil, they mark their territory.